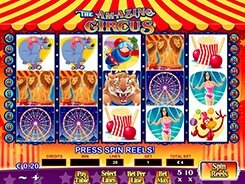 Shopping Spree is an amazing high-limit video slot having a shopping theme. All the symbols you will come across on the reels depict clothing items, beauty care products or happy shoppers themselves. 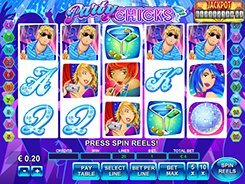 The slot features 5 reels, 20 paylines and a few betting options including a coin size, a bet per line and the number of lines. By adjusting these options, you may set a total bet in a range between $0.1 and $1000 per spin. A wild is represented by the Discount Coupon and is designed to substitute for other symbols other than bonus symbols. Besides, it doubles payouts when used as a replacement for regular icons. Hitting five wilds across a bet line pays out a fixed jackpot worth 3000 coins which is equivalent to $150,000 on the max stake. The slot also features a free spin round and a Shopping Spree bonus game. In the bonus game, you are taken to the second screen and should select a piece of clothing to reveal an instant cash prize. The bonus feature continues until you pick the word Collect that will take you back to the reel screen. PLAY FOR REAL MONEY!